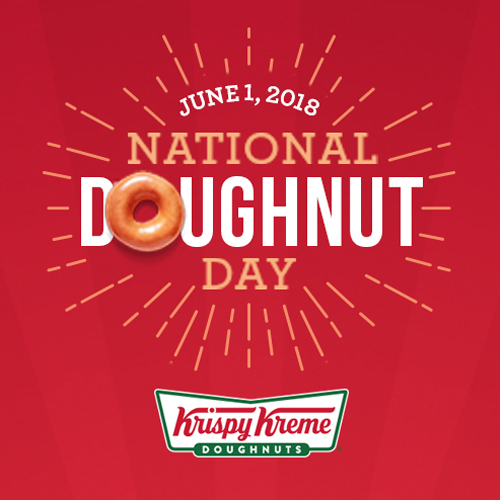 "We can’t wait for our fans to enjoy their favorite Krispy Kreme doughnut on us! We just love this day." 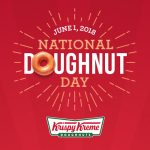 WINSTON-SALEM, N.C.--(BUSINESS WIRE)--Krispy Kreme Doughnuts will spread joy on National Doughnut Day, June 1, by again giving customers the opportunity to select one free doughnut from the entire menu – no purchase necessary – at participating shops in the United States and Canada.